This week Street Charts roundup: Stinga J is featured as hot new artiste of the week. L. Razor featuring Macka Diamond, Babeedoll and Dainty are featured with the hot new collaboration of the week. 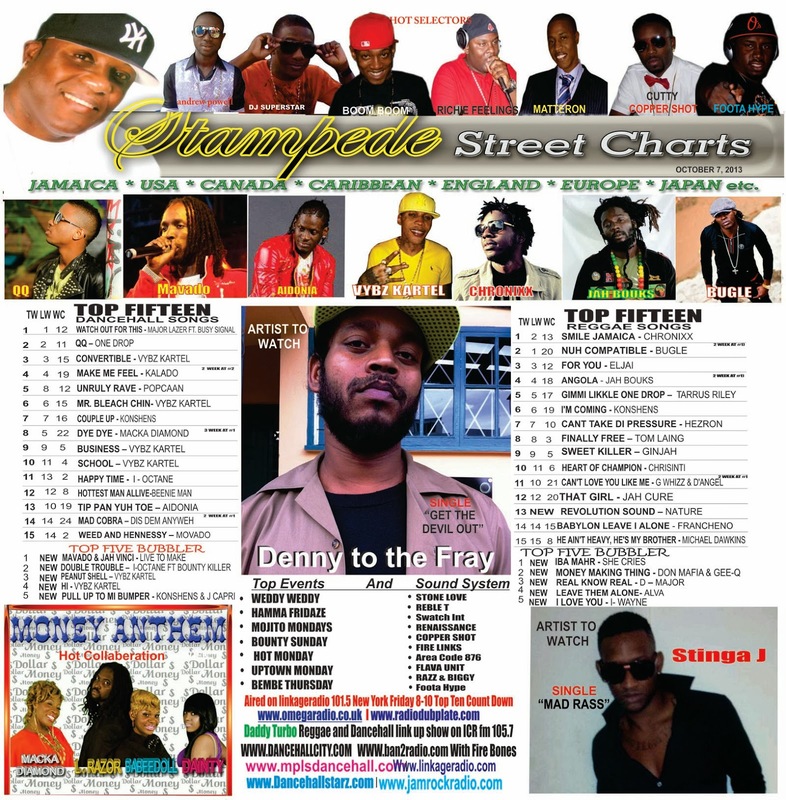 Denny To The Fry is featured as new artiste to watch while chronixx takes the number one reggae spot with his hit single “Smile Jamaica”. 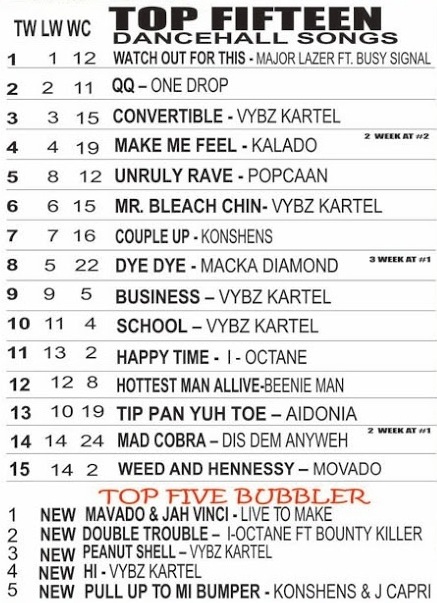 Major Lazer keeps dominating the dancehall charts for yet another week with his single “Watch Out For This” featuring Busy Signal. 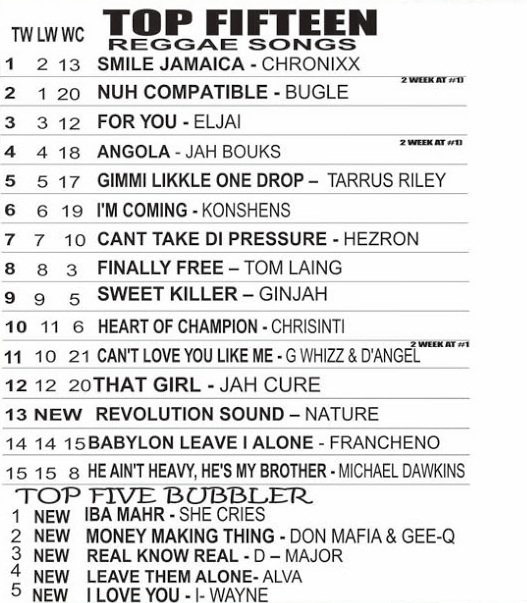 This week’s Street Charts doesn`t feature any new entries. There is some shuffling around but not much. Check out the full listings below.